Step by step, beginners learn how to play the trumpet joyfully and with enthusiasm. Many new, but also approved methodical processes are elaborated into this book. 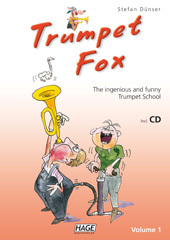 Within the last years, Trumpet Fox became one of the most successful tutorial books. The complete school comprises of 3 volumes and is ideal for both, individual or class lessons and as well for self study. 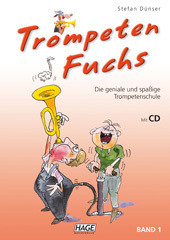 It is also suitable for Flugelhorn, Cornet or Tenor Horn. where it should be: To the pleasure of making music. 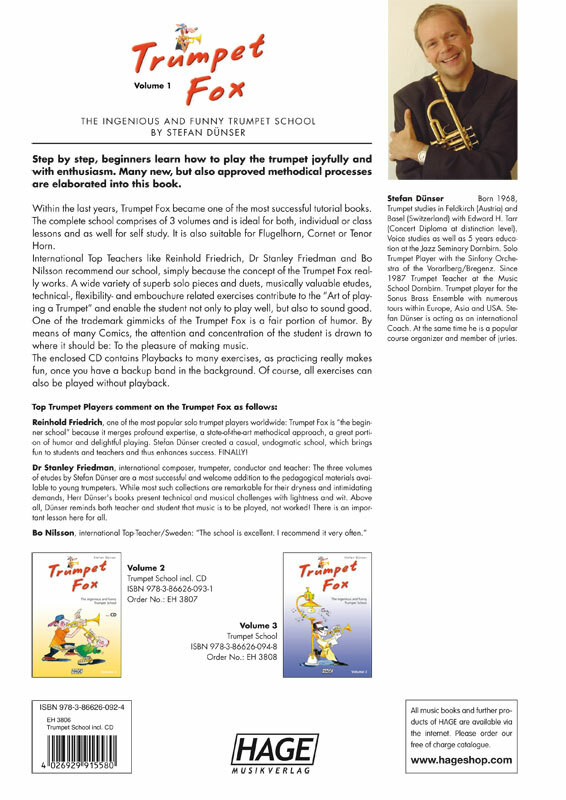 The enclosed CD contains Playbacks to many exercises, as practicing really makes fun, once you have a backup band in the background. Of course, all exercises can also be played without playback.